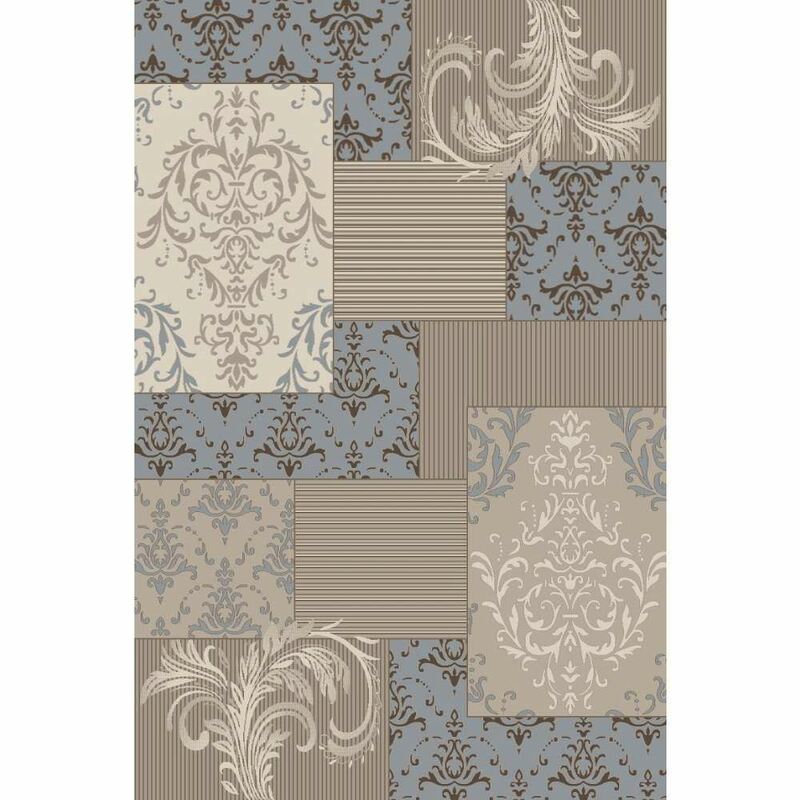 With its patchwork design of damask patterns, the Patchwork Damask Rug in Blue & Brown adds a comforting ambience to any room setting. With its patchwork design of damask patterns, the Patchwork Damask Rug in Blue & Brown adds a comforting ambience to any room setting. The faded Mediterranean blue color scheme makes this patchwork rug ideal for cozy, transitional decorating concepts. Our Damask Patchwork Rug is made up of brown, beige and blue background colors with stylish Damask Patchwork design that appears throughout the rug.